Delicious, crunchy macadamia nuts covered in generous layers of premium quality milk chocolate. This set includes 6 individually wrapped boxes in a convenient carrying case. Makes a great gift or keep them for yourself! 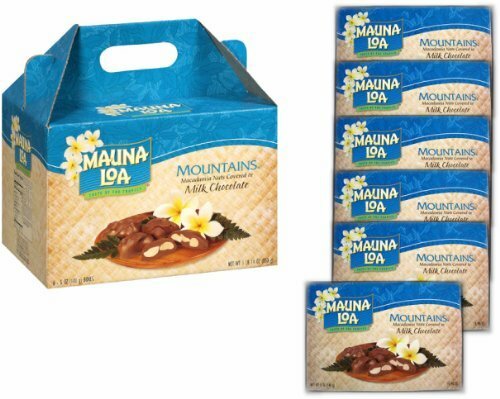 If you have any questions about this product by Mauna Loa, contact us by completing and submitting the form below. If you are looking for a specif part number, please include it with your message.